Purchasing a home is the largest investment you will make. Hiring a trained, certified professional home Inspector can make this a much more pleasant experience so that you can buy with confidence. The same is true if you are selling a home. Fewer last minute surprises and a faster, more efficient sale. Dollar for dollar, at todays costs for homes and repairs, a professional home Inspection is a bargain. Inspections for: prelistings, prepurchase, warranty, and new construction. Radon, mold, air quality, thermal imaging, and pool inspections also available. I will give you the confidence to make an informed decision about your new home. The inspection will cover the homes major systems, from the roof to the basement, and I will tell you what needs to be done. Knowing exactly what you are buying can prevent your dream home from becoming a nightmare. Let Beneficial help you make an informed decision. Home inspections are my business; I perform home inspection and radon testing throughout northeast Illinois and southeast Wisconsin 7 days a week. By phone (847-356-9632), or with our online scheduler, this makes scheduling an inspection easier for you! Along with your detailed home inspection, you will also enjoy these benefits: Free consulting for as long as you own the home and a free subscription to Home Owners Network ($200 value). We are so confident in the quality of our home inspections that if you are not satisfied with the inspection for any reason, you don't pay, no questions asked. We offer a free recall check on all major appliances. Schedule your inspection today using our online scheduler and receive a free 90 day limited home warranty from Residential Warranty Services on your home or condo purchase. Beneficial Home Inspections is a preferred home inspection company of Inlanta Mortgage. Are you working with a blind home inspector? If your inspector is not using a quality Thermal Imaging Camera and is not properly certified, you might be. We use quality Fluke cameras (not cellphone apps). We include a free thermal image shell scan with all home inspections. You can also find us on Angie's List! Having Steve come in was the best thing. Being a first time home buyer was scary enough and having a professional like Steve made it so much easier. I was explained all issues in a matter I could understand and if not fixed, what damage would occur. His report was extremely simple to understand and complete. Finding mistakes a village inspector missed. I would highly recommend Steve and Beneficial Home Inspections. Very thorough inspection and evaluation. Appreciate the time Steve took to point out annual maintenance items that need to be completed on the house. The "Ease Ur Move" kit is great. Thank you. The Petrik's. Steve was recommended to me by my sister. He did a great job. (Twice) As I had him inspect two condos I was looking to purchase. He was always professional, informative, and thorough. Not only was Steve extremely thorough as well as patient with this inspection, he was also able to turn his findings into a very professional and easy-to-follow report. I will definitely recommend Steve to anyone I know purchasing a home. Steve was on time and he took his time reviewing everything and explaining to me the problems or potential problems for the future. I would highly recommend Steve for home inspections to my family and friends. Thanks Steve! Great job with the home inspection. We asked the sellers to fix all the problems you found and they agreed...including the radon mitigation! Sarah and I are very pleased with everything. Steve's inspection was just as described. He was prompt, professional, and courteous. His many years of knowledge really shined on our inspection, he uncovered (undisclosed) hidden fire damage in the trusses and floor joists of the home. This made out decision simple to pass on the home. Steve saved us literally thousands of dollars, and for that, we are truly grateful. We will not hesitate to use our recommend your service when we find the right place. Aside from a 'very' thorough inspection, the side information Steve offered on simple home improvements I would have never thought of was 'invaluable'. I have already and will continue to tell others of Steve's professional service. Steve did a great and thorough job. He took the time to check everything and to explain any issues or concerns with me. I would recommend him in a second! Steve was great, very informative, and helpful! Steve took the time to answer all our questions. He did a very thorough inspection on the house. After the inspection, we felt more confident and we will definitely recommend Steve to our friends and family. He did a great job! Thanks Steve! Thank you so much for doing my home inspection. I thought you did a wonderful job and you were very thorough. You helped me understand problems and things I need to do to maintain my house. You did a great job and I will definitely recommend you. Thanks! Steve, it was a pleasure to work with you. Thank you for doing a through and professional inspection on our new home. The inspector was great! He was friendly, knowledgeable, and thorough. We will definitely refer him to family and friends. Thank you! Steve was personable, polite, and professional. It was a delight to have him as our home inspector. As first-time home buyers, our expectations were exceeded. Thanks!!! Thank you again for your help today. You were very helpful and I appreciate your patience. I will be happy to pass your name along to friends and family. Steve - You did a great job and explained everything very well. You really know your stuff! I also felt like you were really working for me which is hard to find nowadays. I would recommend you to anyone! Thanks again for the great job. Steve was very thorough and friendly. Steve was well prepared for a thorough inspection and provided me with a quality job. Steve was very accommodating to fit my schedule. He is very professional. I would recommend him to anyone I knew needing an inspection. Check out my interview, How Much Should Your Home inspection cost on www.IllinoisHomes.com, one of the top sites for homes for sale in Illinois , including Plainfield, IL real estate. 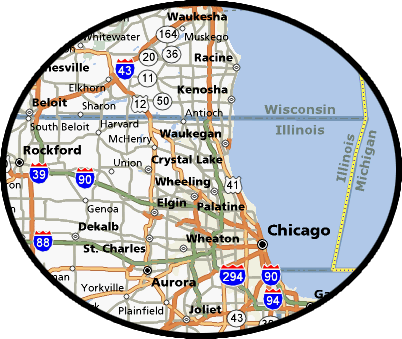 Illinois Homes also services York, Pennsylvania real estate and Madison, Wisconsin real estate.